All across Acadiana people are putting the finishing touches on ball and parade costumes. It’s not out of the ordinary to see a little face painting during the Mardi Gras season, but what about the entire body. Instead of a piece of paper or canvas, artist Angela Roberts makes those brush stokes on a person. Her job gets a little more interesting during Mardi Gras season. 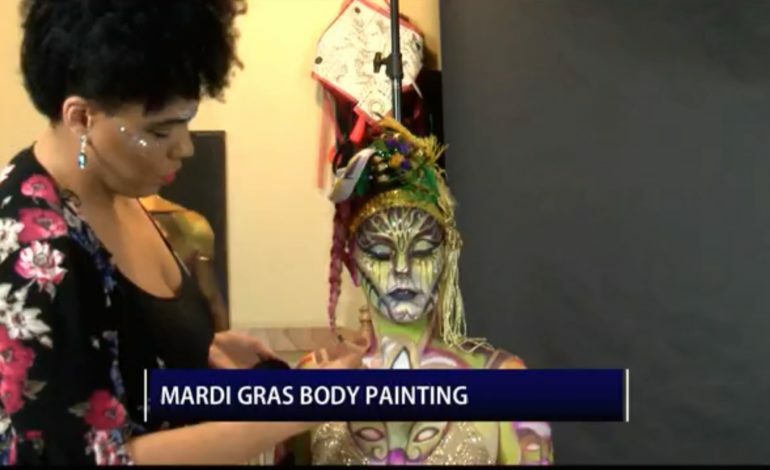 Roberts believes her Mardi Gras body artwork isn’t just for stares. It enhances a costume. It took Roberts 2.5 hours to finish Brennan’s entire look, including creating the head piece. To book Angela Roberts for body painting email her at angelareneroberts@gmail.com or visit her website.